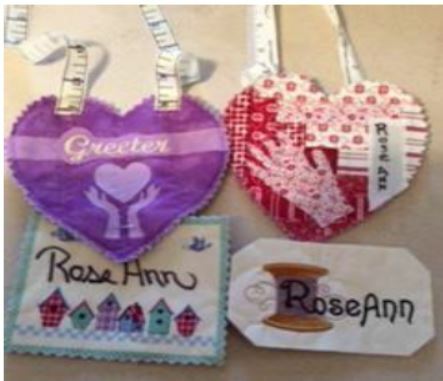 The Helping Hands Quilt Guild would like to invite all members to our first Sit and Sew of the New Year to join us for friendship and fellowship. It will be held at the Wyoming Methodist Church from 9-3 pm on Tuesday, January 29, 2019. This event is free for all members. We do ask for all members attending to bring a covered dish to share. First item on the agenda, all members who need a new name tag will be offered a "kit" and assistance to create one. About 10 am, Mary Kokoszka will demonstrate a 3-dimensional bow tie block. If you do not wish to participate in the name tag or 3D bow tie block demonstration, please feel free to bring your own project to work on and join us for a day of fun! All are welcomed!